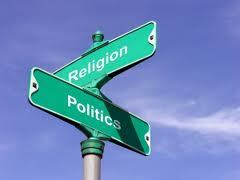 Faith and Politics in the Public Square – Come and join us for this great conference! The Institute for Faith and Public Life is ideal for people with a passion for social change. Through engaging workshops and discussions built around the theme of Faith and Social Transformation, you will explore transformational opportunities that support faith in the public sphere. Participants will engage in conversation regarding the incidence of religious rhetoric in American politics over the past years. The heightened religious talk in politics, and the increasingly plural society of the United States and the developed world, challenges the Church and theologians to be a faithful voice of the Gospel in the Public Square, while at the same time participate in the intercultural and interreligious conversations at all levels of society that reflects the American principle of separation of Church and State, and freedom of and from religion. All participants will benefit from plenary lectures, Bible studies, and worship. Participants will also be able to take one of three multi-day workshop tracks, as well as choose from a variety of one-time seminar electives. Those who register before August 15 will receive a discount. Participants may register for one of three tracks. Each track will meet for three intensive sessions. More information on the workshop topics and leaders coming soon. Participants will also be able to attend one-time seminars on topics dealing with Global Politics, Worship, Preaching and the Political, and Civic and Christian Responsibility. Participants should arrive before 2 p.m. on Thursday, September 27. The institute’s first plenary lecture will start at 3 p.m. on Thursday, and closing worship will finish at 3:30 p.m. on Saturday, September 29. We will soon have a detailed schedule available for download. Rev. Jennifer Butler is the founder and Executive Director of Faith in Public Life, a strategy center advancing faith in the public square as a positive and unifying force for justice, compassion and the common good. A Princeton Seminary graduate, she most recently served as the Presbyterian Church (USA) Representative to the United Nations. Rev. Dr. Cláudio Carvalhaes is the Assoiciate Professor of Liturgy and Worship at Lutheran Theological Seminary in Philadelphia. He was born and raised in São Paulo, Brazil, where he also earned his degree from the Independent Presbyterian Theological Seminary. He was ordained by the Independent Presbyterian Church of Brazil and served two different Presbyterian congregations in São Paulo. Dr. Gordon Graham is the Henry Luce III Professor of Philosophy and the Arts at Princeton Theological Seminary. Rev. M. Linda Jaramillo is executive minister of the United Church of Christ’sJustice and Witness Ministries, responsible for the church’s work on human rights and social, racial and economic justice. Dr. Luis Rivera Pagán is the Henry Winters Luce Professor of Ecumenics and MIssions Emeritus at Princeton Theological Seminary. Dr. Peter J. Paris is Princeton Theological Seminary’s Elmer G. Homrighausen Professor of Christian Social Ethics Emeritus. An ordained Baptist minister, he earned his M.A. and Ph.D. from the University of Chicago. His particular interests include Aristotle’s ethics and politics, and the theology and ethics of Reinhold and H. Richard Niebuhr. Rev. Dr. Luke Torian is the Delegate to the General Assembly of the Commonwealth of Virginia and a community leader in Prince William County. Delegate Torian currently serves as the Pastor of First Mount Zion Baptist Church in Dumfries.